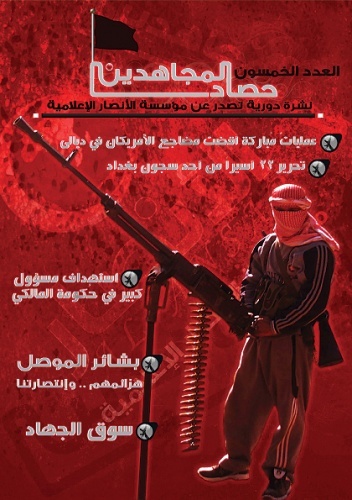 Since July al-Qaeda in Yemen has not released its monthly journal, Sada al-Malahim (The Echo of Glorious Battles). This period of silence included the September attack on the U.S. embassy, which made it hard to confirm if al-Qaeda in Yemen had carried it out. [Gregory D. Johnsen] Details are still coming in about this morning’s attack on the US Embassy in Yemen, and it will likely be a couple of days before a complete and accurate picture of the attack can be drawn. But in my conversations very early this morning what seems to be clear is that the attack involved at least two separate car bombs and came very close to succeeding on a much more spectacular level. Even at this early stage it is important to note a couple of things. The attack, while shocking, was not necessarily unexpected. On August 19, Al-Qaeda in the Arabian Peninsula: The Soldiers’ Brigades of Yemen posted its 13th statement to al-Ikhlas. The statement threatened attacks in retaliation for the death of Hamza al-Q‘uyati, who was killed along with four of his comrades in a raid on an al-Qaeda safe house in the eastern city of Tarim on August 11. The proof, the statement said in a common Islamist phrase, “will be in what you see and not what you hear.” The group has been silent since. 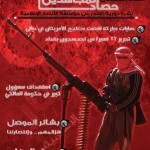 However, on September 9, a teaser was posted to al-Ikhlas indicating that the fifth issue of Sada al-Malahim was due to be released in the coming days. Sada al-Malahim is the journal of al-Qaeda in the South of the Arabian Peninsula. The combination of these two indicators should have triggered warnings in Yemen, as over the past year al-Qaeda has developed a pattern of linking its attacks to its rhetoric. That is to say, an attack usually follows the release of a statement, journal or video. Unfortunately, on a side note, the al-Ikhlas website was taken off-line, most likely by hackers, before the fifth issue of Sada al-Malahim could be posted in what I can only imagine was a counterproductive attempt to disrupt al-Qaeda’s statements. This means that analysts are now flying blind in the sense that they no longer know what al-Qaeda in Yemen is saying either in its journals or statements. This will make predicting and analyzing the group that much more difficult. On the issue of responsibility I have seen reports both in English and in Arabic that a group calling itself the Islamic Jihad in Yemen has claimed responsibility for the attack in a statement signed by someone calling himself Abu Ghayth al-Yamani. Personally, I have strong reservations about the veracity of this claim. This typically happens in Yemen following a suicide attack, but is rarely true. What usually happens is that some individual such as Abu Ghayth al-Yamani hears the news and dashes off a fax, and then a day or two later the group responsible posts an official statement claiming responsibility. Unfortunately, with al-Ikhlas being down getting access to this statement will be difficult (see above paragraph). There are two other things to note from the August 11 raid – neither of which have been well reported – that killed al-Q‘uyati, who spent time in Afghanistan in the late 1990s before escaping from a Yemeni prison in February 2006. First, his cell was extremely localized. Of the seven individuals involved in the fighting – five of who were killed and two were captured – five of them were from al-Mukalla while the other two came from the neighboring towns of al-Qatn and Shabwa. This should have given a number of people pause; most of whom were proclaiming victory in the war against al-Qaeda in Yemen. The localized nature of the cell, I believe, indicates a diffusion of strength that should have worried Yemen as well as the US and the UK, which both relaxed their travel restrictions to Yemen following the death of al-Q‘uyati. I attempted to articulate this in a conference in DC at the end of August, but I don’t believe I was particularly successful. The second important point to note from the August 11 raid is that it was precipitated by a local tip. One of the worrying trends in Yemen has been the lack of a strong public outcry against al-Qaeda attacks in the country, which have killed many more Yemenis than they have westerners. In order to truly defeat al-Qaeda in Yemen, something similar to what happened in Saudi Arabia in late 2003 and 2004 needs to take place. This has yet to happen, but there have been signs throughout the summer that the tide could be turning. One can only hope that this attack, coming as it did during Ramadan, and killing only Yemenis and other non-westerners will further enrage popular opinion within Yemen. For those interested in reading more, see the article appended below.